Hey everyone! Since the last blog post we’ve been working hard on the features you’ve seen already, but we’ve also been working on an entirely new feature! This is something we’ve wanted for a really long time and it has finally found its place in the upcoming update. While travelling through space is exciting, sometimes you just want to kick back and relax. And who can be bothered going up and down a gravity well constantly? 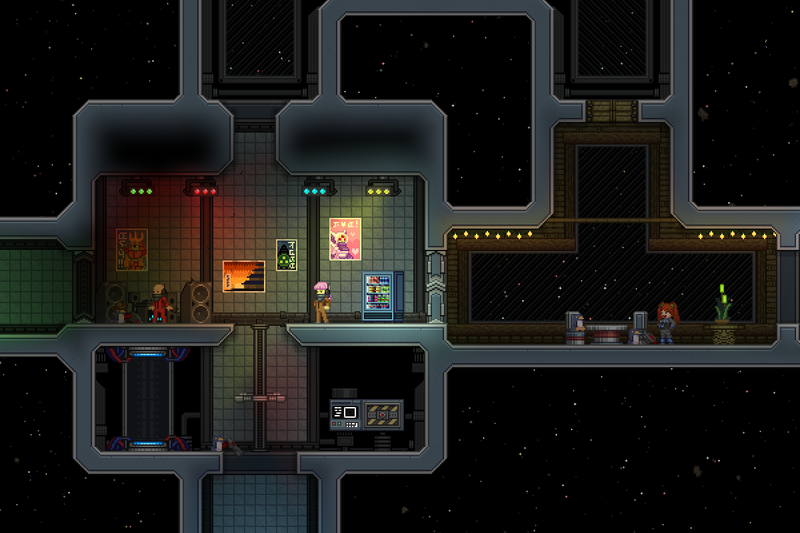 In the next update you’ll be able to have all the comforts of your old house on Earth, but in space. Simply call in a station probe to deploy your personal space station. 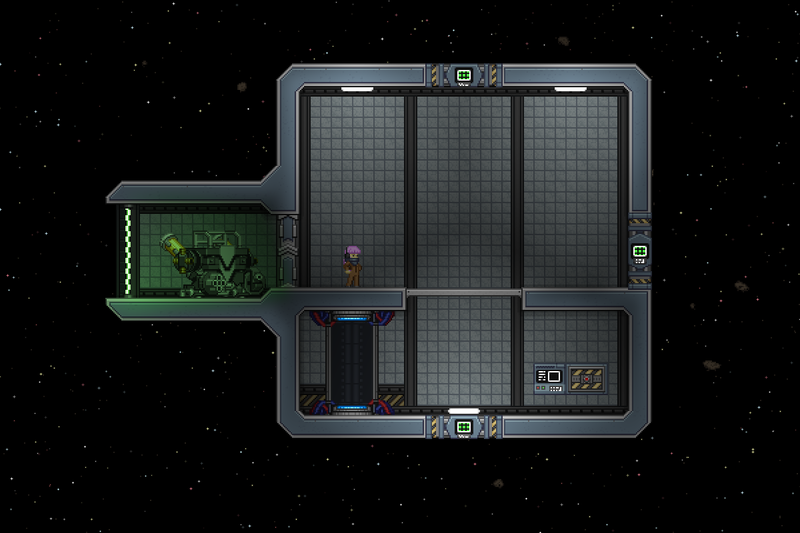 Your initial station package includes an entrance for your mech and a teleporter for convenience, while providing lots of room for activities. If it’s less space than you’re accustomed to, don’t worry about it! Your station can be expanded with a variety of modules to create the intricate corridor maze of your dreams. All for a very relatively reasonable cost. Lots of people have been asking us when Starbound is coming to Xbox One, and while we don’t have a release date for you yet, we can confirm it’s still a thing that’s happening! We’re working with the super talented folks at Blitworks on the port, so it’s in good hands. We’ll let you know more as soon as we can!